Feel like taking a road trip 7 Apps to Keep Your Kids Entertained on Road Trips 7 Apps to Keep Your Kids Entertained on Road Trips Taking a road trip soon with your kids? These apps should make your experience a million times better. Read More ? If you have the time and money 13 Ways to Earn Extra Money With Your Smartphone 13 Ways to Earn Extra Money With Your Smartphone These apps will help you make a little bit of cash when you have a few extra minutes—and it adds up! Read More , hopping in the car and driving somewhere can be a great way to travel. You know what would make a road trip Road Trip USA: A Techie's Toolbox For A Great Drive Road Trip USA: A Techie's Toolbox For A Great Drive You're already using your Android for anything but phone calls? Smartphones also make for great travel companions! Before you start your road trip, be sure to stock up your digital toolbox with useful apps. Read More even more awesome? 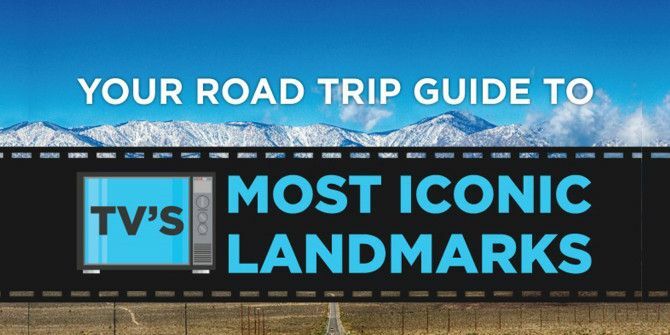 If you could take a road trip to some of the awesome places you’ve seen in your favorite TV shows Where Can I Find New Movies and TV Shows To Watch on Netflix? Where Can I Find New Movies and TV Shows To Watch on Netflix? Everybody loves Netflix, but can be hard to keep track of the shows arriving and departing from the service. Here are four websites that can help. Read More !